It’s a very exciting time for business, as new technologies are causing disruptions across industries and allowing for amazing innovation. ‘Digital transformation’ has become a buzz word applied to everything from the way we consume and share content, connect with family and friends and go about our daily lives. We have all become conditioned to an ‘always on’ world where information is available at our fingertips anytime and anyplace we need it. This evolution has impacted a global and connected workforce demanding that companies of all sizes keep up with the growing expectations and productivity needs of their employees. 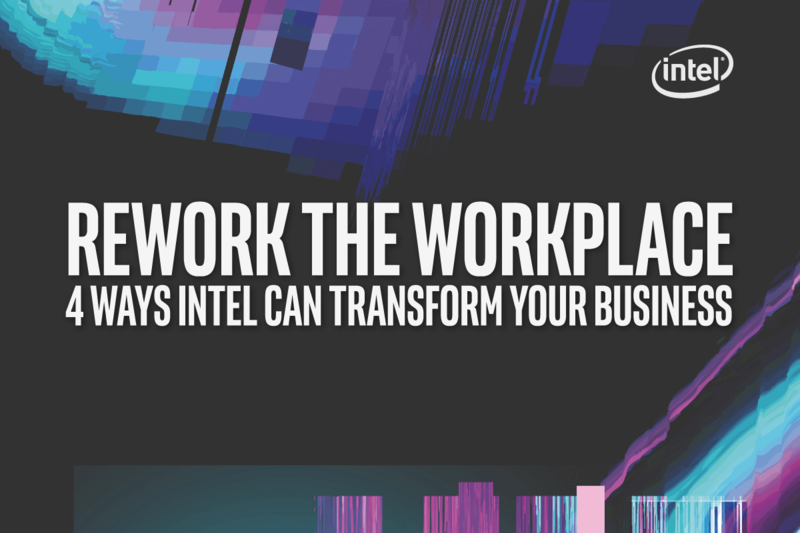 Next week at the Gartner Symposium/ITxpo in Orlando, Intel will be highlighting how technology is helping to rework the workplace, reshaping the way we work. GM of Intel’s Virtual Reality Group, Frank Soqui, Yasser Rasheed, Intel’s Director of Client Security, and Tom Garrison, Intel VP and GM of Connected Home and Commercial Client will be presenting their vision for the future of the workplace. Whether it’s using virtual reality and 3D visualization to help your design process or installing smarter collaboration tools to help connect a global team, Intel’s technology is helping to rework the workplace. Tom Garrison shares his perspective on how to harness digital disruption to create the workplace of tomorrow today. He will provide guidance on things to consider as you update your workplace into the secure, managed, collaborative environment employees demand and you require. Don’t miss his presentation at the event on October 2 at 3:15 p.m. at the Southern V.
If you are attending the Gartner Symposium /ITxpo event October 1st-5th in Orlando be sure to stop by our booth in Pacific Hall where we will be offering hands-on demos of our workplace solutions for endpoint security, device manageability, collaboration and commercial VR. You can also attend our speaker sessions, detailed below, and learn more about Intel’s vision for the future. There are four key technology trends that are redefining the workplace. Outlined below, these technology innovations require new tools and solutions to ensure IT departments and managers are equipped to keep up with the latest advances. Virtual reality isn’t just for gaming anymore and experts predict that commercial or the business uses of VR and AR will soon outpace the gaming sector. Many industries such as manufacturing, retail, construction, and healthcare are already experiencing the benefits of virtual models and 3D visualization. Designers and architects can produce virtual models much more quickly and cost-effectively than ever before. The advances in software and hardware are enabling businesses of all sizes to benefit from virtual product design, virtual collaboration and workspaces and immersive training and simulation environments. 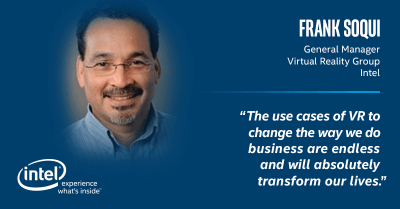 According to Frank Soqui, General Manager of VR at Intel, “The use cases of VR to change the way we do business are endless and will absolutely transform our lives. There is not one industry that won’t be impacted by the advancements we’re seeing and many industries have already been transformed.” Soqui will be speaking October 4th at 10:15 a.m. in Orlando at Gartner’s Symposium/ITxpo in room Swan 10. Until then, you can watch an interview with Soqui and read more about his predictions on the future of merged reality on Intel’s IT Peer Network. Smart companies and their customers are benefiting from a workforce that is enabled to work anywhere. Data is no longer only accessible via a desktop in an office, instead, information is stored in the cloud and available in the field, on the retail floor or anywhere there is a Wi-Fi connection. This has fundamentally changed the way we work and requires a new approach for securing both our updated devices and our data. 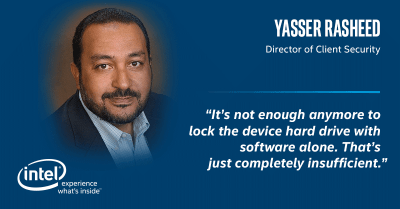 Intel’s Director of Client Security, Yasser Rasheed, outlines the new levels of protection required. "A comprehensive security strategy has three pillars, 1) Identity protection, 2) Data protection, and 3) Active management technology to help quickly recover if a breach occurs." Because the majority of security breaches involve identity and password issues, better protecting identity threats is essential. Multi-factor authentication or using multiple methods to safeguard devices, including hardware-enabled technology, adds the required layer of protection. Intel Authenticate solution, is easy to deploy, scalable, and can be customized based on the needs of your IT department. The second vital element to ensure adequate protection for today’s workforce is a robust data protection plan. Data is ‘on the loose’ and travels between multiple devices and the cloud. Ensuring that data is secure outside of the confines of the individual PC can help prevent costly breaches. Intel Data Guard technology ensures employee files are automatically encrypted and remain protected on IT-managed PCs when stored locally, in the cloud, or even on a USB drive. Taking these two steps will help protect your company from the majority of security threats, however staying ahead of cyber-attacks and malware requires constant advances. Rasheed will be discussing hardware-enhanced end-point security Monday at 12:15 pm on ITxpo stage 2. You can learn more about Intel’s end-point security solutions at Intel.com/endpointsecurity. The traditional computer hardwired to an Ethernet connection is quickly becoming a thing of the past. Distributed workforces and the proliferation of devices ensures all devices has presented new challenges to IT managers. Implementing technology that allows for remote management ensures all devices have the latest updates and can be taken offline immediately if there is a security threat. According to Tom Garrison, VP and GM Connected Home and Commercial Client Business Client Platform, “remote management is critical. It is really the underpinning that allows work to be able to happen wherever it needs to happen. If a device is not managed, then very quickly those devices will become unusable, and therefore, the workers will not be productive. Intel vPro platform is available and supports remote management for business. “ Learn more about Intel vPro platform and Intel Active Management Technology at Intel.com/AMT. Enhanced wireless technologies are allowing workers the freedom to take their work with them into the conference room and into the field. Traditional solutions that rely on hardware to enable screen sharing and collaboration during conferences such as projectors and dongles present set-up challenges and limitations costing companies valuable time and resources. The ability to seamlessly switch between presenters, regardless of location, view multiple screens at once and integrate with existing platforms such as Skype for Business allows for shorter meeting setup time and better ways to work together. Intel Unite solution offers a robust toolset to help companies streamline conferences, saving time and money. Intel has deployed Unite throughout their offices worldwide, providing employees a stress-free, sharing and collaboration experience. Learn how you can move meeting setup time from minutes to seconds and provide a better experience for your employees in our Unite white paper. We’re looking forward to learning more about the latest advances in workplace transformation next week in Orlando. Our speaker sessions are detailed below and we’d love to see you there. 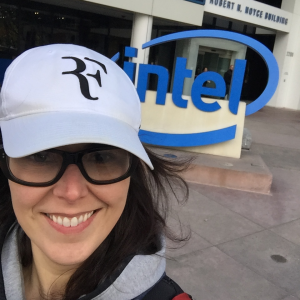 If you are unable to attend, you can follow our updates on Twitter by following @IntelBusiness. Time: 3:15 p.m. to 4:00 p.m.
Time: 10:15 a.m. to 11:00 a.m.
Time: 12:15 p.m. – 12:35 p.m.
Intel® technologies' features and benefits depend on system configuration and may require enabled hardware, software or service activation. Performance varies depending on system configuration. No computer system can be absolutely secure. Check with your system manufacturer or retailer or learn more at http://www.intel.com/EndPointSecurity.